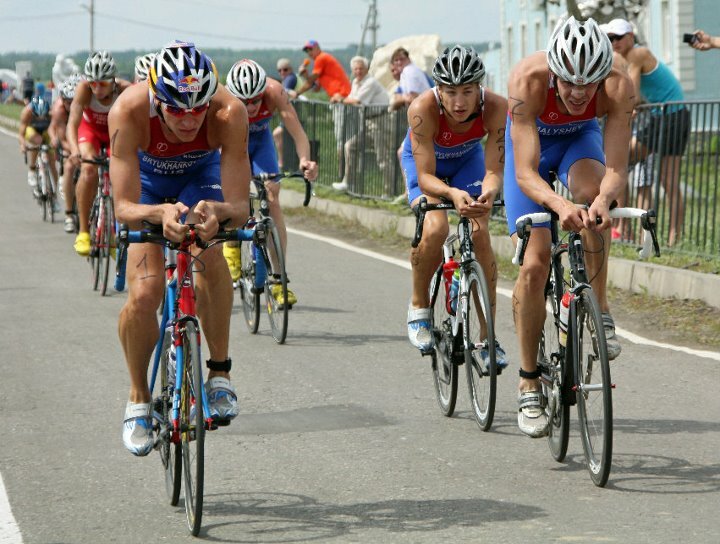 Elena Danilova and Dmitry Polyanskiy were the victors in the third year of the ITU European Cup in Penza. For Danilova, who won here last year and has finished on the podium in every year in Penza, it was her first European Cup victory of the season. She finished ahead of Irina Abysova in second place and Alexandra Razarenova, who completed the podium in third. In the Elite Men’s race, Polyanskiy’s win was also his first of the season. He finished ahead of last year’s winner Vladimir Turbayesvkiy who continued his fine form in 2013 with his sixth International podium of the year. Andrey Bryukhankov pipped older brother Alexander to complete the podium in third place. In the ETU Junior European Cup, held on Saturday 17th August, Anastasia Gorbunova and Alexandr Shcherbinin took home European gold. For Gorbunova, it was a case of third time lucky, as he won the first European Cup of her career after finishing runner up twice before in Penza. Ivana Kuriackova (SVK) finished second and Elena Lokhmanova finished third. In the Junior Men’s race, Shcherbinin also made history as he won the first European Cup of his career. Ilya Prasolov had to settle for second place and Alexey Kalistratov made it onto the podium for the second time this year in third place.